Personalized learning tailored to each student’s unique gifts, strengths, and individual needs. Modern, interactive education in a warm, comfortable environment. Cultivation of the whole person – academically, emotionally, physically, and spiritually. Life success skills development that prepares students to be communicators, collaborators, and critical thinkers. A supportive community, where students are encouraged to stretch themselves, dig deeper, and feel comfortable. Since introducing LEAD this year, we’ve already seen positive progress. The LEAD class had notably higher STAR test scores in reading and math. Plus, they’re performing above grade level and are progressing faster than regular classroom students. We begin introducing many of the LEAD teaching approaches to our students in Kindergarten and Grades 1-2, giving them an Early LEAD. Academic achievement at or above conventional classrooms. Superior quality of life for students and their families. A set of real-life success skills that cannot be taught in conventional classrooms. The LEAD school gives students the chance to develop into well-rounded, capable adults and difference-makers. Group projects give them the opportunity to practice communication, problem-solving, decision-making, and self-management. LEAD is creating tomorrow’s leaders—not just today’s grade-getters. The LEAD School provides a program structure that enables students to have more voice and choice in the direction of their learning. Students plan their own days in an environment that’s comfortable to them. 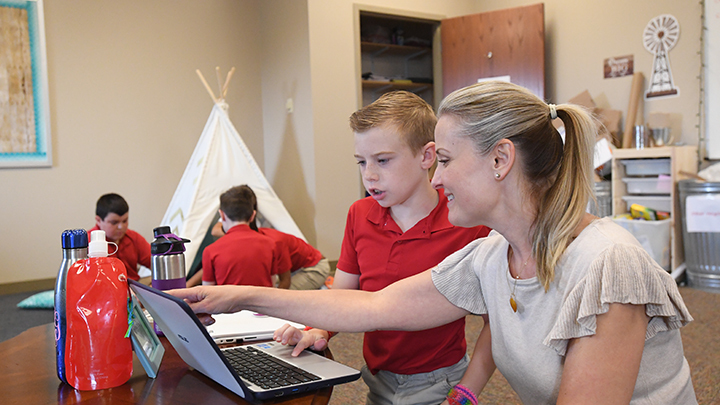 As one student put it, “I have the opportunity to be in the ‘driver’s seat’ of my own learning.” Teachers play an integral part as one-on-one mentors and facilitators. 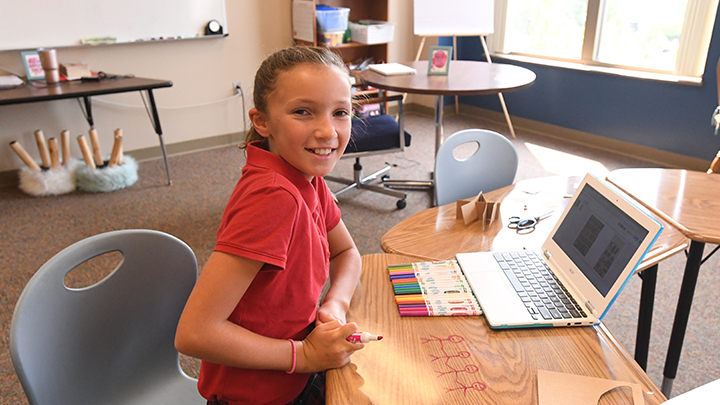 The LEAD School empowers students by fostering a community where they feel supported and encouraged to stretch themselves, dig deeper, and feel comfortable in each learning opportunity. Utilizing the project-based approach of instruction provides students with a solid foundation for understand key concepts and challenges them to take purposeful action with what they are learning. Often schools are given the task of covering standards. Our goal for students is that they discover the meaning and complexity of the world God has made in the context of their time at STJ LEAD School. As students interact with each other, their teachers, community, and God’s Word we challenge them to discover God’s unique plan for their life. The LEAD School is also results-driven. Students engage in meaningful projects following the BIE Gold Standard Project-Based Learning (PBL) Model and receive quarterly reports that explain and display competency of standards. The LEAD School aligns with the core values of spiritual development, academic excellence, leadership and quality learning environment. With a distinctively Christian view of child development, we are carefully cultivating the gifts, personalities and passions that God has sown into each unique child. To learn more or take a tour of our LEAD studio, contact Julie Lorenz, Admissions Counselor. Curious about what a day looks like at the LEAD School?